I was in the middle of reading Memoirs of A Geisha by Arthur Golden when this mind of mine couldn’t stop recalling my trip to Kyoto last year. 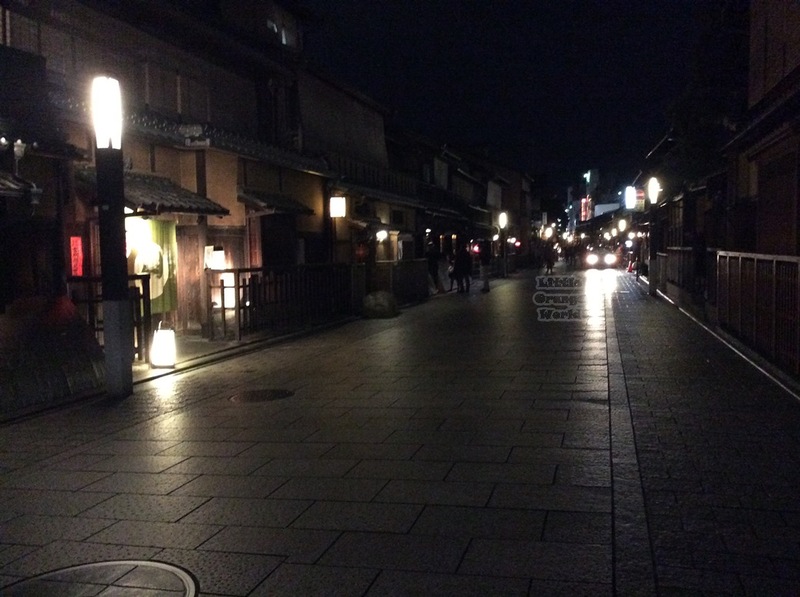 At our first night in Kyoto, on our way to hostel from Yasaka Shrine after a day long walk, my friends and I decided to take a brief stop at Gion, a renowned and original Geisha District in entire Japan. 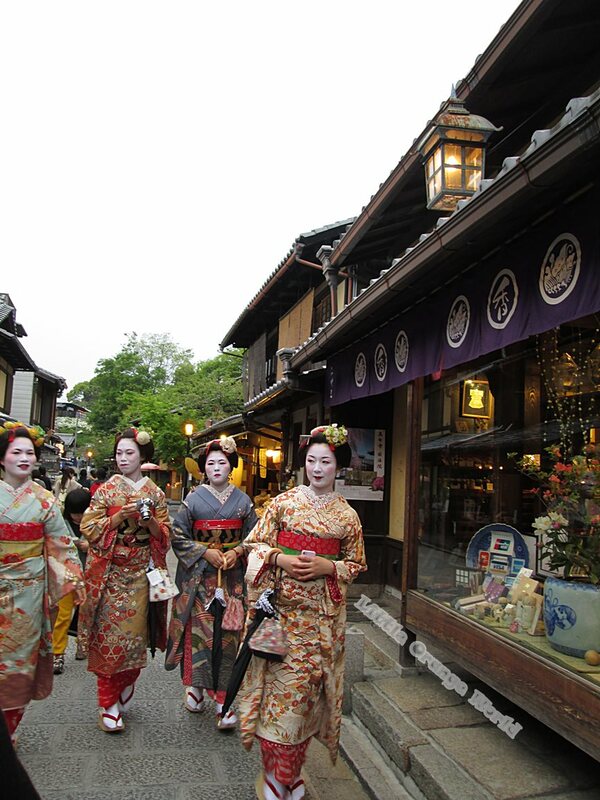 According to the information that I’d read and collected before entering Japan about how to meet Geisha in Gion coincidentally, the time when we entered wasn’t the perfect one, in other words, we were already too late to meet any of them passing by. However, in the name of curiosity, we entered the area. I forgot to ask about my friends feeling while entering the dark and quite Hanamikoji Area, but mine was the mixture of exciting, curious and nervous. As we walking much further, I was getting a little bit uneasy (anxious) for some reason. So, I vaguely remember whether I already asked my friends to walk out from the area or hadn’t asked about it, until I saw a group of people in front of a tea house. At a first glanced, I thought they were customers, but as we were getting closer, I realized they were tourists, just like us. I could tell it from the fancy cameras that each of them holding or hanging around their necks, and there, the other information which also widely spread around internet hanging on my mind, about group of tourist that acted like paparazzi around Gion area while waiting for Geisha and Maiko, somehow and sometimes blocked their way. 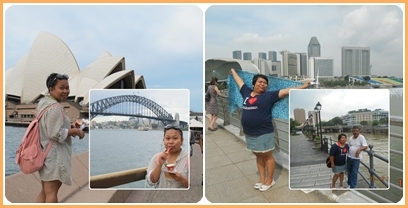 The articles and the fact in front of me jolted my mind, whether we were a bunch of tourist which was listed in that category. Since then, I determined not to point my camera exactly in front of the Geisha when we met one or block their way or bother them as best as I could. So I continued walking. In minutes later, when we passed that group behind, suddenly a couple of Geisha and her apprentice appeared from the intersection. Since their appearance was so sudden, which my friends and I were not much expected, it made us perplexed, whether to take their picture or not. But then, speaking of the moment and the chance, we took it anyway. And we took it with the least way that we had been thought to make the Geisha less annoyed, which was from the side. After taking pictures, we headed back to our hostel and we met another Geisha, which I felt bad because of a few people who had tried to take her picture as close as possible. When we arrived at our hostel, I checked my Geisha’s pictures, which result were blurry because I exactly remembered that my hands were a little bit shaken from the mixture of excitement and nervousness while taking it and I felt satisfied enough with my blurry pictures. Ehm, makanya pada gantungin kamera sama kameranya di taro di tangan terus, ini pake kamera hape karena kamera kami disimpen. Aku nggak ngerti kenapa orang2 pada ngejar foto geisha. Dapet foto mereka? Oke, tapi kasian kan mereka dikejar2??? Mereka mau kerja jadinya nggak nyaman di stalking sama turis2 melulu. Kalau kamu jadi mereka pasti bete juga kan.
*tertohok* kalo dikejar kejar emang pasti bete, walau yang ini nemunya karena sambil jalan gugup karena emang gak nungguin di depan tea house-nya sih. Sepertinya fotonya akan di hilangkan dari post ini deh. hehe bukan menohok kamu maksudnya, kan kamu bilang sendiri kalau kamu nggak mengganggu mereka dalam mengambil foto. Maksud aku orang2 lain yang suka stalking sampai menghalangi begitu. Syukurnya gak sampai menghalangi jalan atau mengejar-ngejar atau menunggu, hanya jalan menyusuri Gion, dan tetiba muncul, heheheh. Aku juga baca di internet, sepertinya yang bagian pelelangan saja, iyah juga kalo lagi bidding muka mereka serius-serius gitu, kebayang bakal terganggu banget. Itu dia, sayangnya gak semua turis berperilaku sama, sesuai aturan, setidaknya gak mengganggu kegiatan atau apapun itu di tempat yang kita datangin.